The 24ft Tsunami waterslide has a cool white foam look attatched to it to give it its unique look. 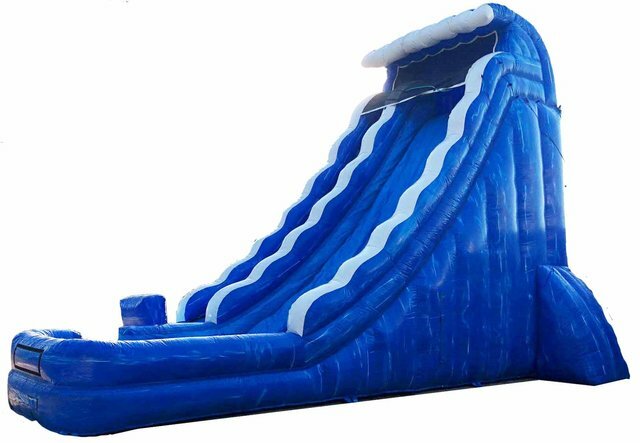 Let this 24ft waterslide be your next choice of fun for your party. The weight limit for this jump is 500lbs. This rental's based price is for 6 hours. If additional rental time is needed we do offer overnight rental which is 25% extra.